The ADE-51 is a highly-specced envelope generator with a full CV implementation providing AHDSR and AHD envelopes in linear or exponential curves with trigger and re-trigger functionality. Capable of fast, precise envelope stages with a rise/fall time minimum of 1 Millisecond, a maximum of 10 Seconds for the A, D and R stages and a 2.5 Second maximum for the H stage. A unique Envelope Time control allows manual or CV control over all envelope stages simultaneously and tapered pot curves allow for greater precision when dialing in faster envelope times. Two simultaneous outputs are available offering a standard ‘rising' envelope and an inverted ‘falling' envelope - with no need for additional inversion or biasing stages. • Linear and exponential envelope types are easily selectable via a dedicated front panel button. • 5-stage AHDSR envelopes offer both Trigger and re-Trigger functionality by combining the Gate and Trigger inputs. 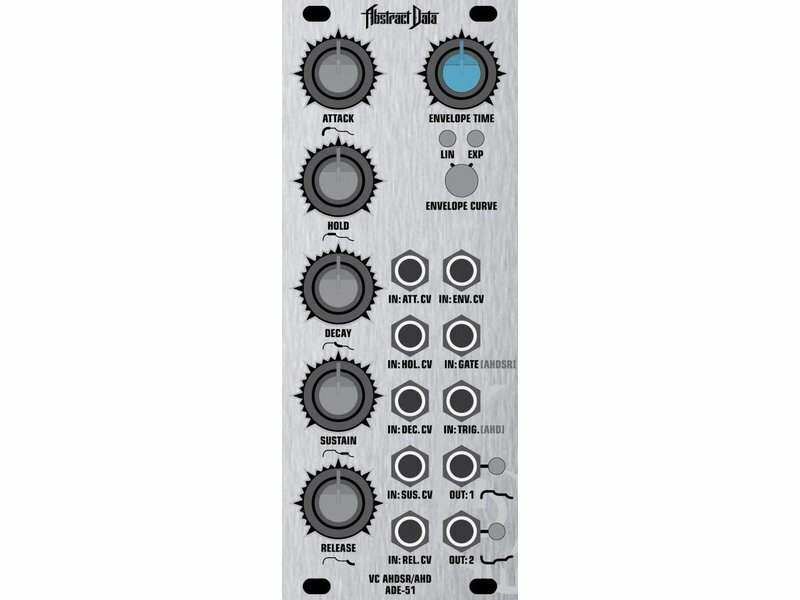 • Two simultaneous outputs are available offering a standard ‘rising' envelope and an inverted ‘falling' envelope - with no need for additional inversion or biasing stages. • The Envelope Time control allows manual or CV control over all envelope stages simultaneously. 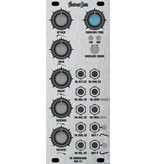 • Two user-selectable pot taper responses - ‘Smooth' and ‘Sharp' - which are selected using a jumper connector on the rear PCB.